Homes are built for families who do not qualify for conventional bank loans. Most of the labor is done by volunteers and by the families themselves. Individuals, faith groups, and businesses contribute time and materials When the home is completed, the family makes a small down payment and gets a mortgage. The mortgage covers the cost of the home, but without added interest charges. Their monthly mortgage payments go into a revolving fund (the "Fund for Humanity") that helps build homes for other families. Each homeowner is responsible for insurance, taxes, utilities, maintenance, and other standard homeowner expenses. 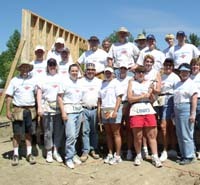 Idaho Panhandle Habitat for Humanity has an open-door policy: All who believe that everyone needs a decent, affordable place to live are welcome to help with the work, regardless of race, religion, age, gender, political views or any of the other distinctions that too often divide people. In short, Habitat welcomes volunteers and supporters from all backgrounds and also serves people in need of decent housing regardless of race or religion. As a matter of policy, Habitat for Humanity International and its affiliated organizations do not proselytize. Nor will HFH work with entities or individuals who insist on proselytizing as part of their work with HFH. This means that Habitat will not offer assistance on the expressed or implied condition that people must either adhere to or convert to a particular faith, or listen and respond to messaging designed to induce conversion to a particular faith. In 1991 by Mike Schissler. While building homes in Mexico on a mission for his church, Mike decided that when he returned home to Sandpoint, he was going to start a program that builds homes for low-income families. 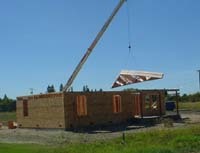 He founded the Idaho Panhandle Habitat for Humanity and two years later, the first Habitat home was built. Mike passed away from a long fight with cancer. 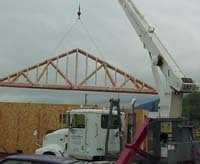 Homes are being built at Schissler Meadows and elsewhere in dedication to our founder. 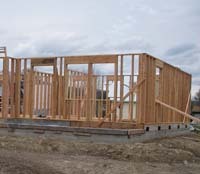 Habitat for Humanity International is a nonprofit, ecumenical Christian housing organization seeking to eliminate poverty housing and homelessness from the world and to make decent shelter a matter of conscience and action.